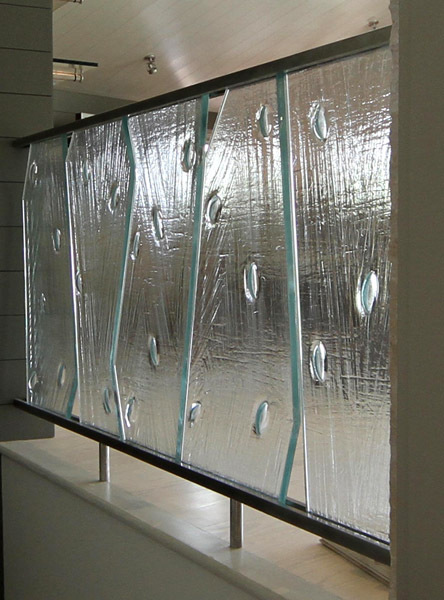 Ordinary plate glass is transformed into sculptural beauty by slumping it in a kiln over or into various molds at about 1485 degrees F. Impressions can be abstract or literal texture. 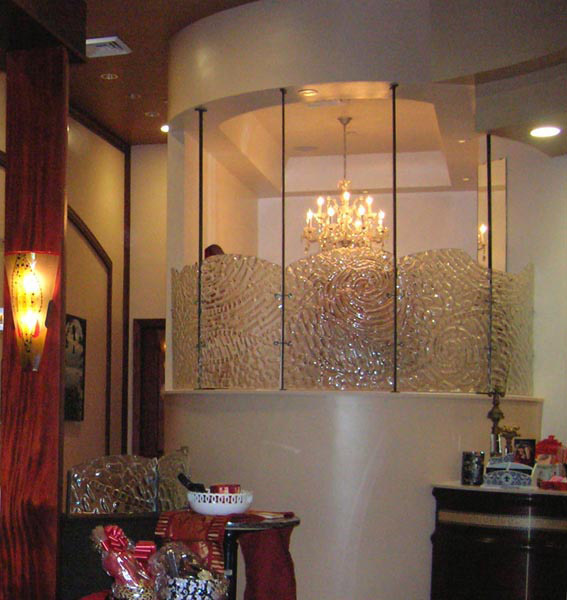 Logos or business names can be imbedded into the glass itself. 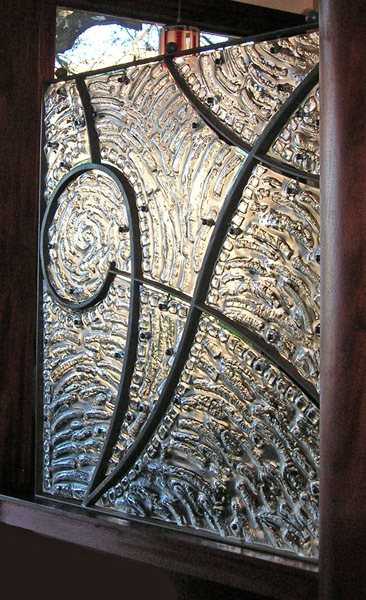 The beauty of the plate glass itself is highlighted with this technique. 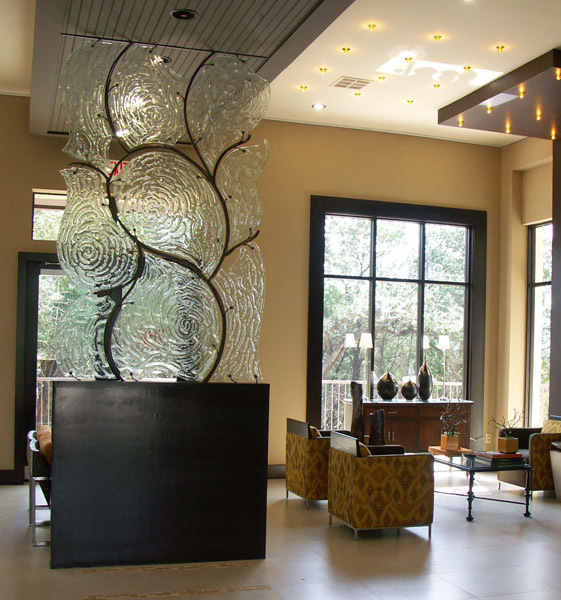 Having texture in the glass creates areas for light to arrest in spots and for the natural green glass color to show. 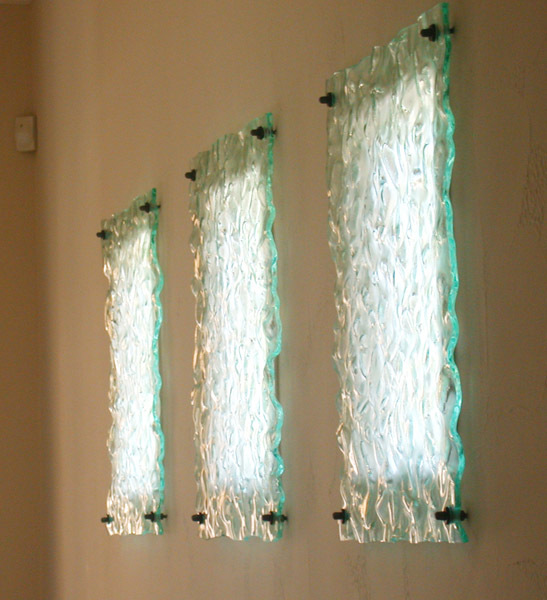 Light on low iron glass creates the same effect, but the color highlighted is a very soft pale blue. 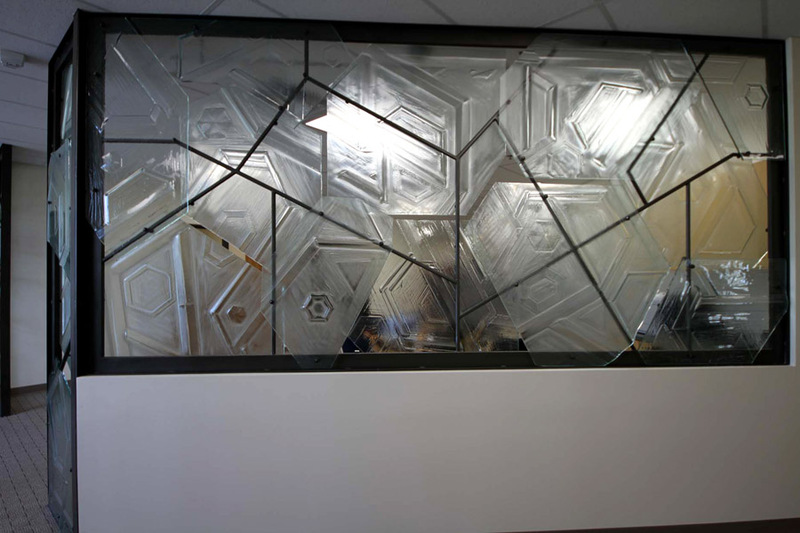 Click on the images below to see examples of Studio K architectural kilncast glass.